BACK ON THE MARKET DUE TO BUYERS FINANCING. REPAIRS HAVE BEEN MADE. SELLER HAS JUST ADDED STAINLESS APPLIANCES TO THE KITCHEN AND DROPPED THE PRICE $15,000!! BEST DEAL AND LOCATION IN TOWN!! 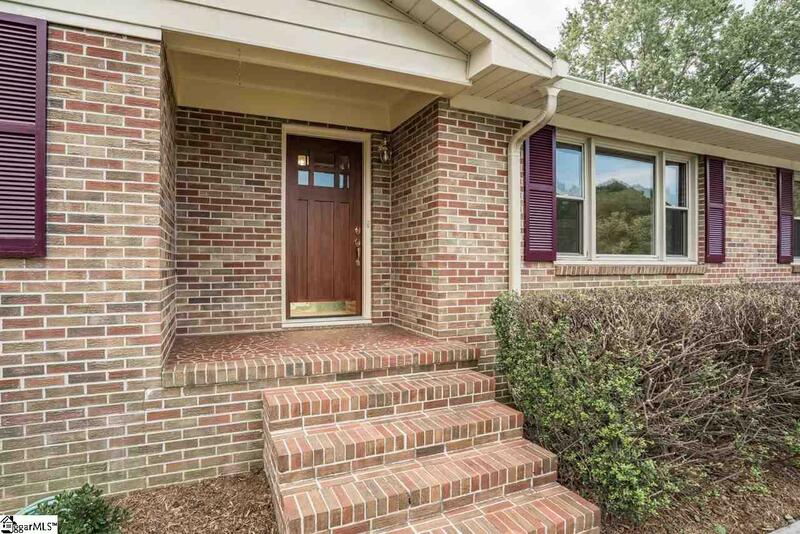 Must see this beautiful completely renovated brick ranch home on Greenvilles sought-after Eastside. This lovely home boasts three bedrooms and two bathrooms, formal living and dining room, den and so much more. 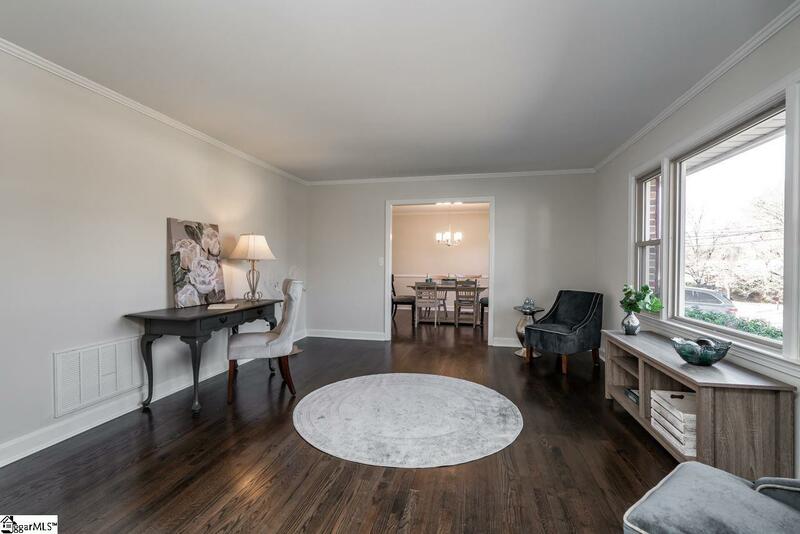 The Seller has done anything and everything to update this home. Chefs dream kitchen with new granite countertops, tile backsplash, stainless double sink with faucet and pull-down sprayer, recessed lighting, under cabinet lighting, hardware on cabinets and drawers and new bamboo flooring. The den is warm and inviting complete with painted fireplace, gas logs, ceiling fan and closet door. The master suite is spacious with a walk-n-closet with new closet fixtures. You will love the completely renovated master bath with tile shower, glass doors, vanity, toilet and tile flooring. There are two additional bedrooms with new ceiling fans and bi-fold doors. Large hall bath with double vessel sinks, granite countertops, tile in shower and surrounding area, all new bathroom fixtures and tile flooring. Enjoy entertaining with family and friends on your new covered patio with ceiling fan overlooking your fenced-in level backyard surrounded by new plantings. 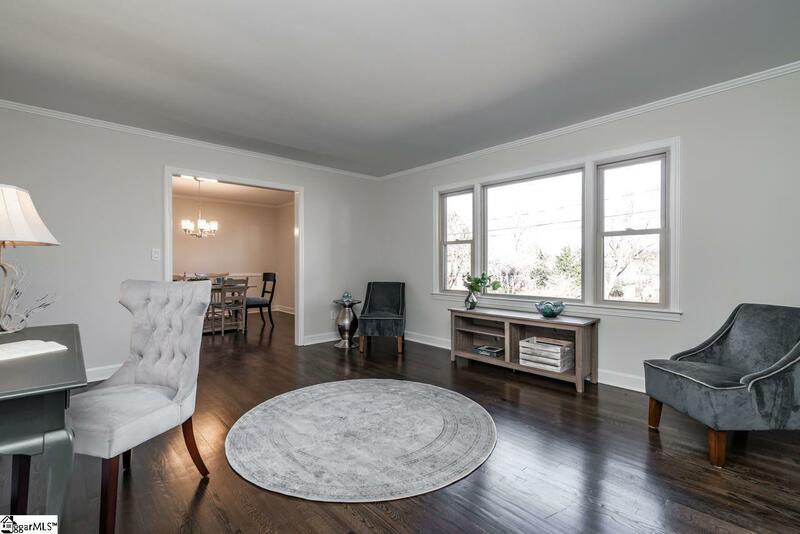 Numerous renovations are: Original hardwood flooring throughout have been refinished and stained, painting throughout the entire home including the shutters; new vent covers, light fixtures, hardware, all new doors both inside and out, new metal shed, and the list goes on and on. Plenty of storage throughout. Dont forget about the workshop in the attached carport. Conveniently located close to shopping, restaurants, I-385, I-85. 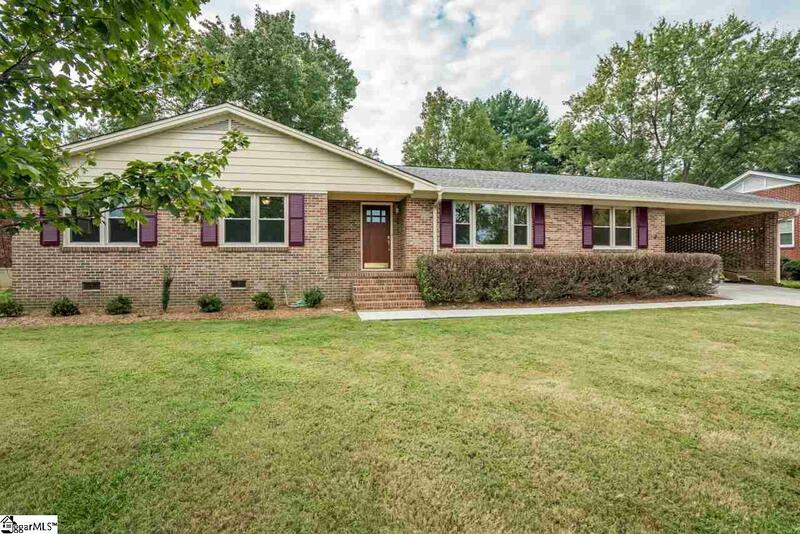 Minutes from Downtown Greenville and GSP Airport. Come make 101 Kenilworth Court your new home today! Listing provided courtesy of Elizabeth Cox of Coldwell Banker Caine/Williams.